Unless it was a new laptop and the fall destroyed pretty much everything, you can consider that price a rip-off. Replacing a laptop screen, including parts and labor, shouldn’t cost you more than $300. In fact, it will probably come in closer to $200. [Email your tech questions to info@123pcsolutions.com ]The first question you should ask yourself: Do you want to pay someone to do the repair, or make it a do-it-yourself-project?Unless you have experience repairing laptops or want to acquire that experience, I strongly recommend hiring a professional. Yes, it will add about $100 to the price, but if you make a serious mistake, the final repair could cost you a lot more. Climbing inside a laptop is a lot trickier than repairing a desktop computer.Unless the damage is covered by a warranty (and it almost certainly isn’t), I strongly recommend against going to the manufacturer. You could easily end up waiting weeks while boxes are shipped back and forth, only to get low-quality work, have your hard drive reformatted for no reason, or be overcharged for the experience. Or, perhaps, all three.I generally find I get better service from a small business run by people I can look in the face. So pick out a local computer repair shop. Ask friends, try Yelp, or search the Internet for computer repair and the name of your town. 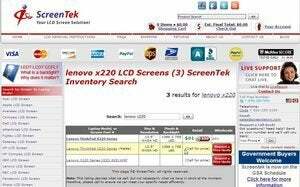 That small business will almost certainly buy the replacement screen from the online retailer ScreenTek. 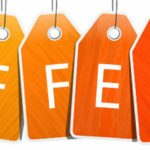 You should check out this site yourself to see what’s available for your model and at what price (usually about $100). 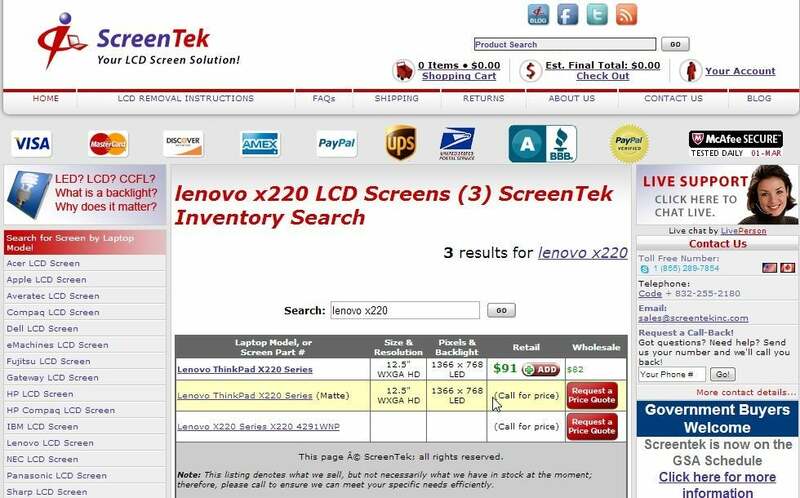 Enter your laptop’s make and model number in the Product Search field, and you’ll quickly find the answers. It’s a good idea to have this information when you call the repair shop. You’ll really need ScreenTek if you decide to do the repair yourself. For more on that subject, see Five Insane Upgrades That You Should Never Do (and How to Do Them!). And let that title be a warning. We will check hardware and software to determine failures, conflicts and malfunctions.